Christmas plans... love it or hate it? Christmas season is upon us: decorations are up in the shops and the light-switching events have started. Do you look forward to it or dread it? Are you the person who does all the card-writing? Do you do all the gift-buying? 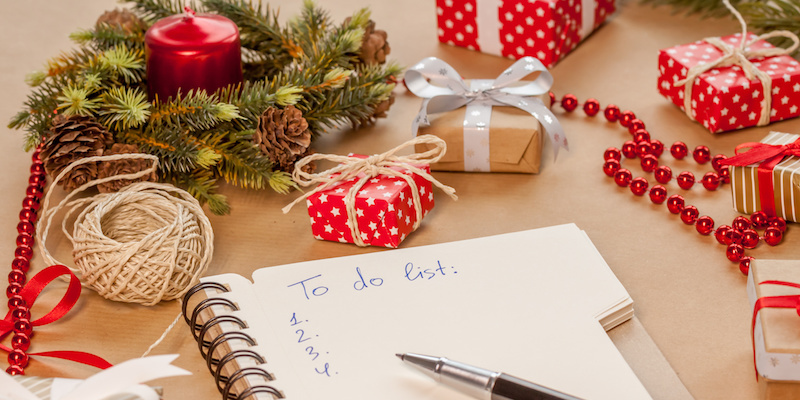 Are you the person who does all the planning, shopping and cooking over Christmas? Is it you that always hosts the party? Do you collapse in a heap after the festivities because you’ve “done it all”? Here’s some ideas for you to think about and perhaps incorporate into your family customs this year and for the future! Why not consider creating a new family tradition which solves the problem of spreading yourself too thinly during Christmas week? If you have family further away that you struggle to see - how about going to the pantomime at the beginning of December? Tickets are often cheaper and more readily available and it’s something for all ages. If you’ve not been, you’ll be surprised about the ‘inuendos’ and how much everyone will enjoy it, from a toddler to a grandparent! In London you can see “Snow White” at the London Palladium and there’s plenty of choice in the suburbs too, e.g. “Cinderella” at the Alban Arena and “Aladdin” in Wimbledon. Most shows run into the first few weeks of January too if you fancy a post-Christmas treat! Personally, we love to receive cards in the post, but generally there are fewer being sent due to time constraints and postage costs. A solution for time-poor people is to have cards pre-printed - this is further advanced now and can look a little more personal by having your own signatures printed rather than a generic typeface. Unfortunately, we don’t have a solution for the cost of postage! Now is a good time to start thinking about ordering your Christmas food online. Not only can you go to your usual supermarket and book a delivery slot, but you could also order online from specialist suppliers - an online butcher has been recommended to us which we’re keen to try out. If you’re always the host, could you do a ‘bring a dish’ party or request your overnight guests to take a turn of preparing and cooking breakfast? Of course, we’d like to recommend that you hire one of our eho chefs for one of your meals at home - it’s surprisingly more affordable that you’d think so we invite you to visit our website or give us a call on 020 7183 1628. Finally, we recommend that you look after yourself with a few early nights and perhaps treat yourself to a massage - we’ve found some great deals on Groupon for spa days which even include an afternoon tea!